A fledgling digital marketing and social media agency is helping businesses to thrive online from its new hub at the University of Warwick Science Park. Media Beard, which offers innovative social media and digital marketing support, has expanded into Ignite space at the University of Warwick Science Park’s Warwick Innovation Centre on Gallows Hill. Leamington woman Sarah Law initially launched the company from her home in December 2012 after identifying a growing market across the Midlands. With previous experience as a marketing manager the 25-year-old helps companies to increase their online brand positioning including social media platform set up, search engine optimisation (SEO), content writing, and community management. Media Beard currently works with a range of clients across the education, music and e-commerce sectors to deliver creative digital marketing solutions. Sarah said: “It is fantastic that I have been able to turn something I love into a career. I really wanted take on more responsibility and launching Media Beard has allowed me to be really creative. “The name Media Beard was inspired by the bearded bohemian media types that work in an area of London called Tech City. It is quite ironic as I am probably the opposite of what you would associate with a typical social media wiz but the name has definitely made the business stand out. “I’m hoping that our move to Ignite space at the Warwick Innovation Centre will help take the company to the next level. Media Beard has already taken advantage of a range of networking opportunities across the online marketing sector and recently attended Social Media Week in Chicago. Sarah added: “We are now looking to expand our client base across all business sectors. There is definitely less competition in the Midlands than in London and we hope that by forming partnerships with web developers and PR agencies we will be able to offer an inclusive package. 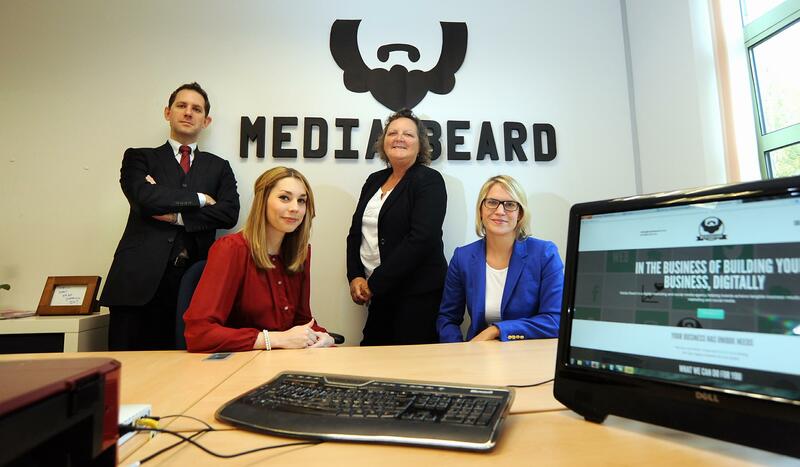 Karen Aston, manager at Warwick Innovation Centre said Media Beard fits the creative ethos of the science park. “We are delighted to welcome Media Beard to the Innovation Centre and we are certain that they will be able to benefit from the advice and support available through the Ignite programme,” she said. “Their creative and innovative marketing packages will no doubt be extremely attractive to companies from all sectors across the region who are looking to increase their online presence. Hot on the heels of the new office launch, Media Beard’s new website https://mediabeard.co.uk/ has also just gone live.